This is the moment a burly PE teacher punches and kicks a cowering student in front of his classmates for turning up late. 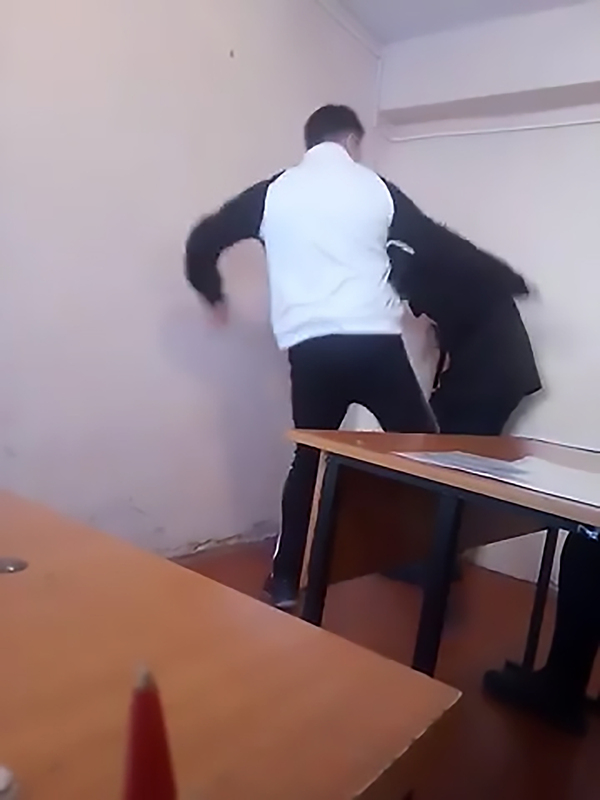 The startling incident occurred at a vocational school in the town of Zharkent in south-eastern Kazakhstan Almaty Oblast region and was recorded by another pupil. 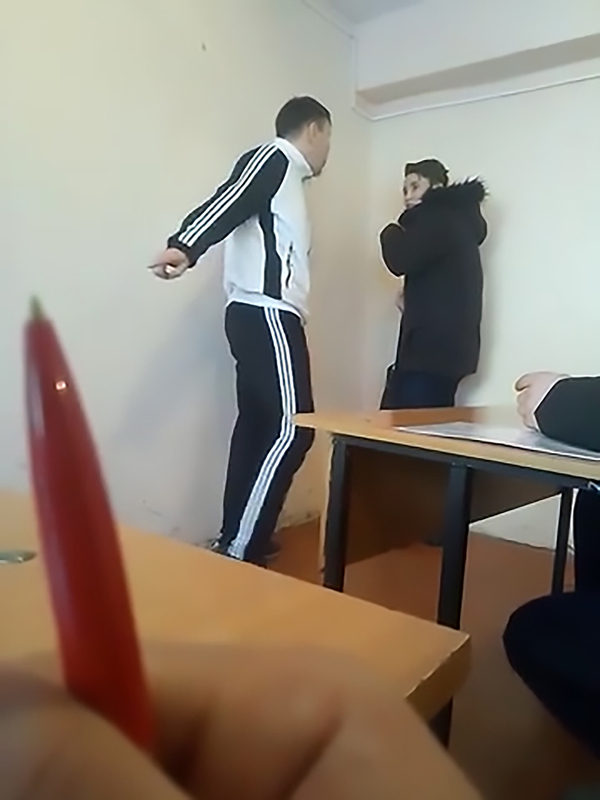 In the video, the teacher dressed in a tracksuit, who has not been named in reports, can be seen smacking a student who is cowering in the corner of the classroom. The teacher shouts at the boy as he repeatedly slaps him before kicking him in the chest. The burly teacher then asks the student a question before kicking him forcefully in the back of the leg in front of the other students. The student begins cowing again before the teacher throws a punch into his chest, sending the youngster backwards. 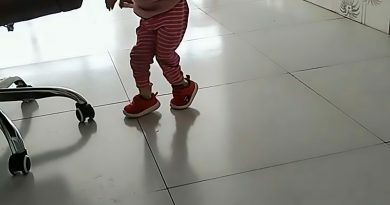 The PE teacher continues verbally harassing the pupil before the video ends. 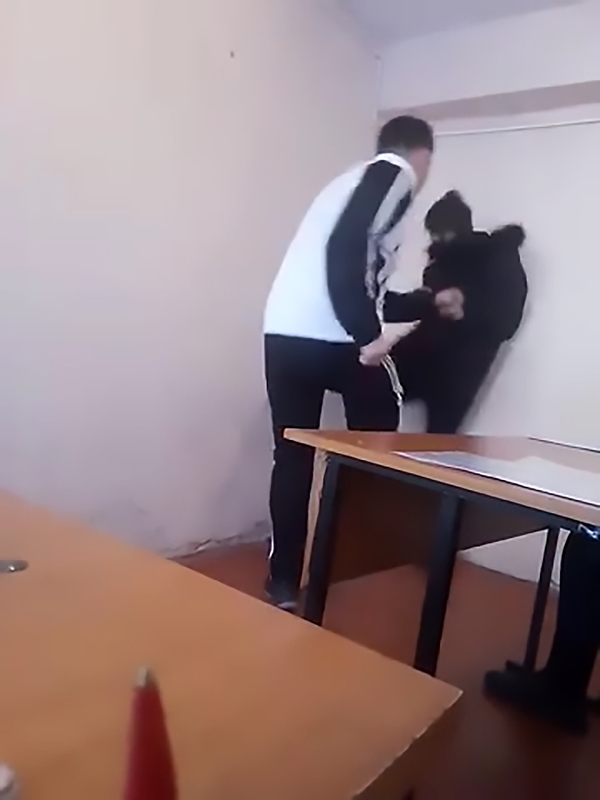 Local media report the beating may have come as the student had turned up late to class. Education authorities are working with the police to investigate the teacher for attacking two students and it is believed beatings are a common occurrence in the school. The teacher has reportedly been suspended until the investigation is over. There are no reports on the student’s condition.